Last year BN Thermic we tasked with an industrial heating project at Quaife Engineering’s HQ in Sevenoaks, Kent. Quaife manufacture gear boxes for performance sports cars so their workers need warm hands and a warm environment to work in. Quaife’s call for help was very urgent because a recently installed electric heating system had failed catastrophically. 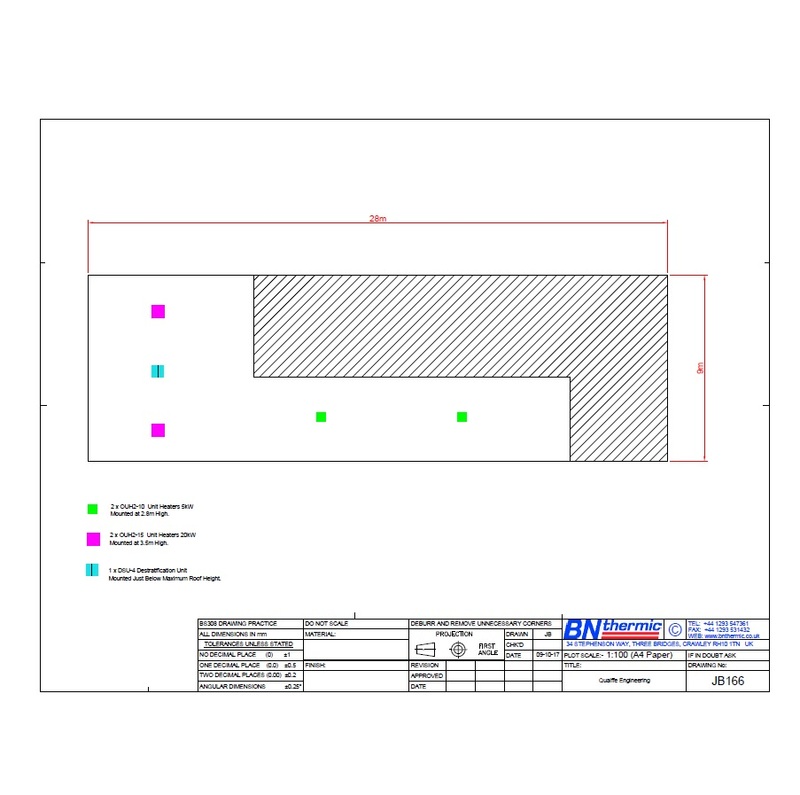 A BN Thermic engineer was on site immediately, a proposal was submitted the next day and the new system was delivered to site within a week. The area which required heating was a production area with several workers, stock and a mezz floor to be taken into account. Heaters were required to keep staff warm during the day but also needed to provide frost protection overnight. The solution was simple. 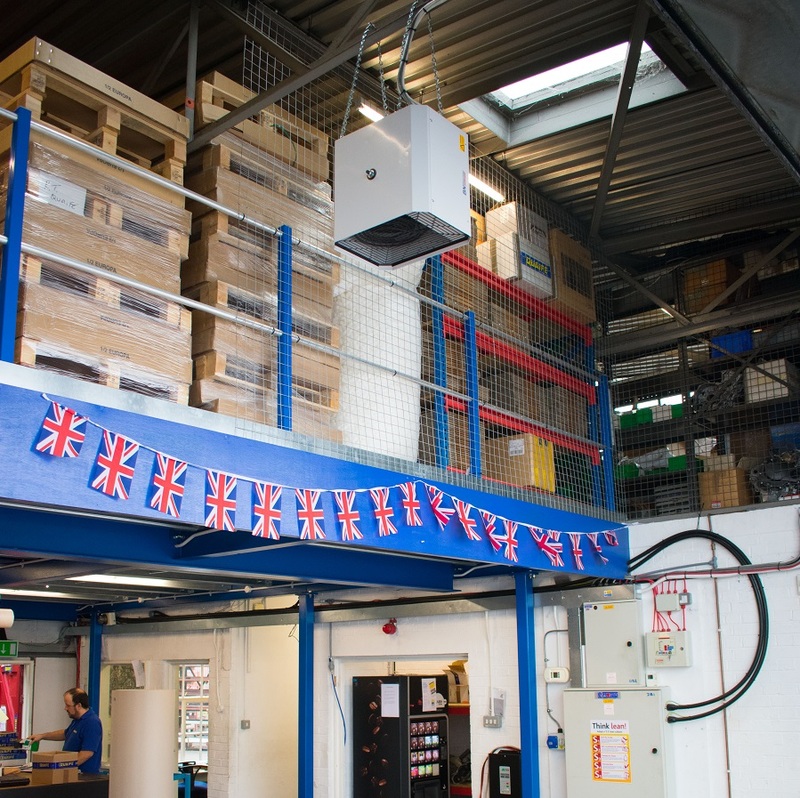 50kW of heat was required and delivered via four industrial fan heaters suspended from the ceiling. 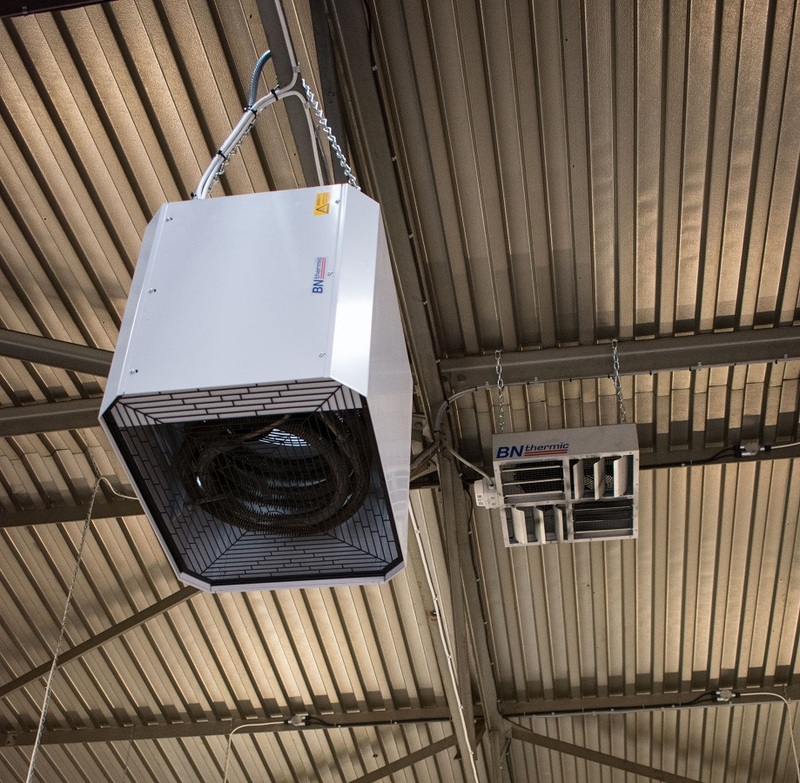 The fan heaters were controlled via a 7-day timer, their built in thermostats and a frost thermostat to make sure the premises didn’t drop below 5°C overnight. Destratification fans were also specified. 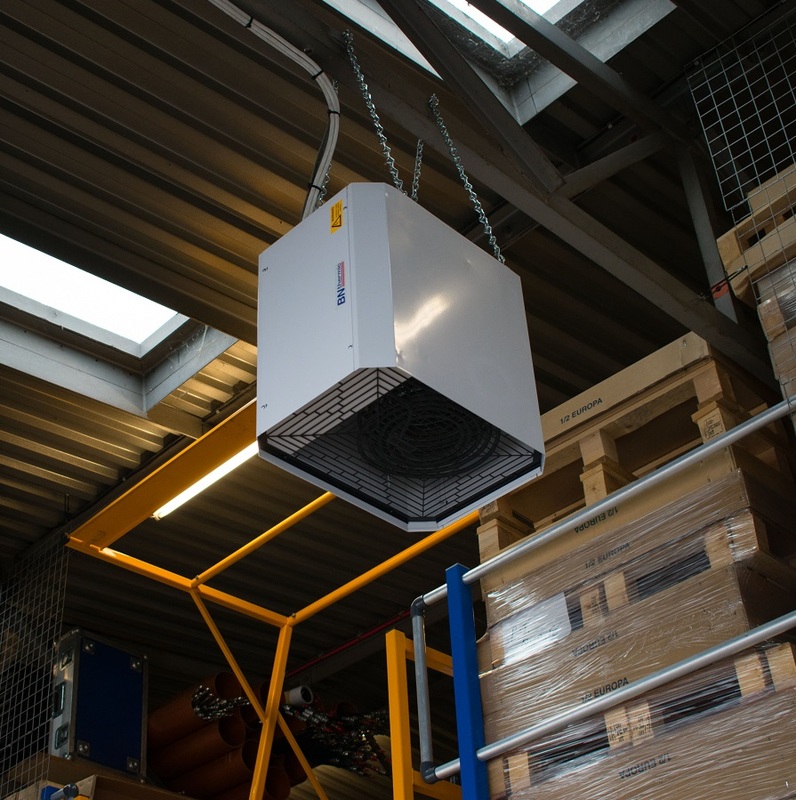 Destratification fans and industrial fan heaters go hand in hand ensuring running costs are kept to a minimum. As everyone knows, hot air rises and will naturally accumulate at high levels in industrial buildings. This is why BN Thermic specify destratification fans for any industrial application with a ceiling height above 4 meters. Destratification fans are designed to recycle warm air and push it downwards. The units have built in thermostats which will energise the fans when a high temperature is detected. This will in turn reduce heating bills by up to 30%! BN Thermic design industrial heating systems for any industrial application. Call us today to discuss a project on 01293 547 361.